Last month, my throat was killing me. I mean, seriously killing me. I am prone to strep throat and I immediately thought that I had caught it once again. I went to my nearest urgent care clinic and the Dr. performed the rapid strep test on me and the results were actually negative! While I was happy to not have to take yet another round of antibiotics, I was left with a horrible viral infection that made my tonsils swell up the size of ping pong balls and there was absolutely nothing I could do about it…and it lasted for almost two entire weeks! It wasn’t fun. The doctor recommended that I make an appointment with an ears, nose and throat specialist to see about having my tonsils taken out. So, earlier this week, I decided to finally start making my regular doctor’s appointments for 2012 – you know, GYN, Optician, etc – and one for an ears, nose and throat doctor. Except that I have never been to one before, and had no idea where to find one! After I was introduced to the ZocDoc website, I was relieved to find that I could actually find a doctor near me that accepted my insurance – because luckily, I have decent insurance and it will cover the visit – with just a few clicks. It was really easy to find a listing of specialists in my area by using the search listings on the ZocDoc homepage shown below. You simply enter the kind of doctor you are looking for (there is a pretty extensive listing provided for you to choose from), enter your zip code and then choose your insurance carrier and plan – or just choose that you will provide your insurance later, or that you don’t have insurance if that is the case. After I entered my basic search info, I received a listing of a few (four) local ears, nose and throat specialists…and the best part? I can make an appointment right there from the website! 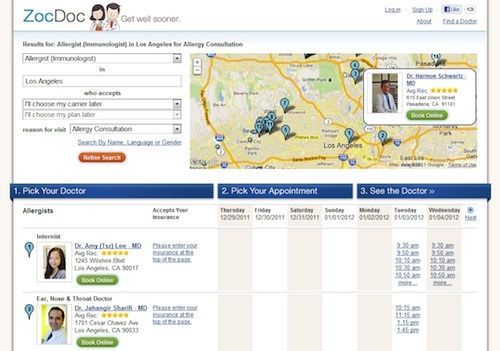 That’s right, you can make an appointment with the doctor you’ve selected right there on the ZocDoc website! There’s even an Android app if you want to find a doctor while on the go! Of course the doctor’s phone number is available to you if you want to call and make the appointment yourself, but I personally loathe talking on the phone and was so excited when I saw that I didn’t have to make a phone call! If you are looking for new ways to stay healthy in 2012, you can also check out the ZocDoc Facebook page! In addition to often hosting giveaways, and soup recipes, they also post quick tips for their fans to stay healthy. The other day, they posted a great list of healthy ways to spend a Saturday for people in Miami (like me!). 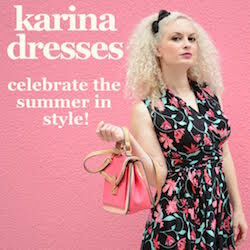 I was selected for this sponsored review by the Clever Girls Collective. 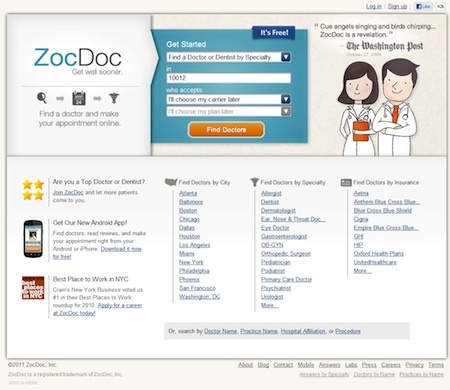 To learn more about ZocDoc, please visit their website. This looks like a great site to check out! I haven’t heard of this site! Thanks for sharing! Okay, as a fellow phone loather, I can not WAIT until this comes to Vegas! I love this! I have never heard of it before but I hate calling on the phone to make appointments, it’s just so much easier to do it online!